The main focus of the player screen is commenting and collaborating. You can use your finger to touch scrub any clip which gives you a quick preview. To open in the player screen press harder to pull it into full view. To play the clip, press the play icon in the center of the clip. As soon as you begin to type your comment the video will pause to allow you get your thought out and also timestamp your comment. When you're happy with your comment just tap Send. You can choose to disable the timestamp if you wish. When clicking on the timestamp at the center, it will be disabled and the timestamp will no longer be highlighted. 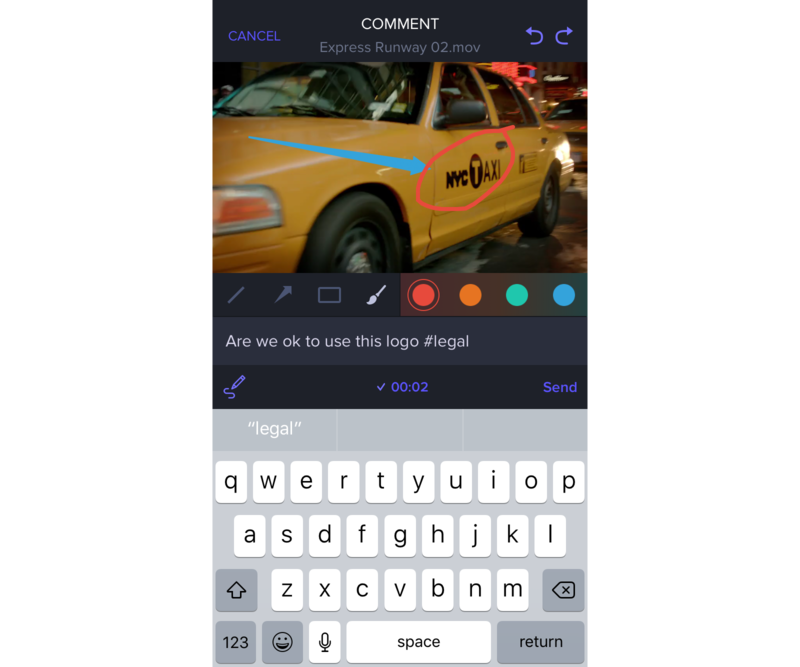 When you need to convey an idea with more clarity you can use the annotation tool to draw directly onto the video. Tap the annotation icon and choose what shape/color you want. You can use the undo/redo if needed. Annotating does not affect the original uploaded file. 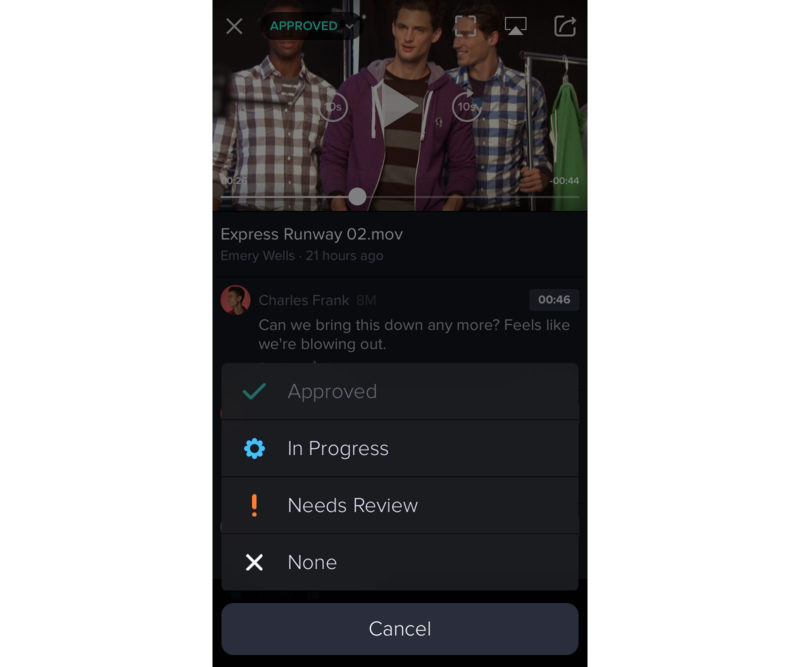 All your media, comments and annotations sync seamlessly across the web app and into all Frame.io integrations. Tapping a comment takes you to the exact frame where it was left. 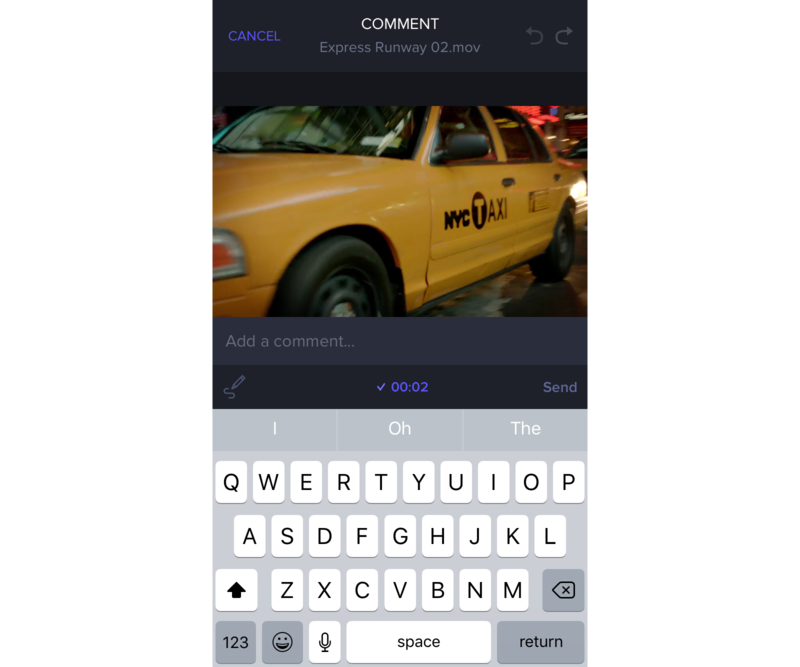 Comment replay will loop a 4 second range to give more context and meaning to the comment. You can skip forwards/backwards by 10 seconds using the 10s icons, you can play in fullscreen and have the option to sling your clip to AppleTV. You can label your clips Approved, In Progress or Needs Review from within the player screen. Once you select one of these options, you have the option to notify specific people on the project by sending a message with your label. You can also Share your clip as a Presentation Page directly from within the player screen. Tap the share icon on the top right and your Share settings will open.